My eyes are a little buggy from all the chrome and reflections but worth every twitch because I think it is going to look awesome once I start filling in all of the tonal values. 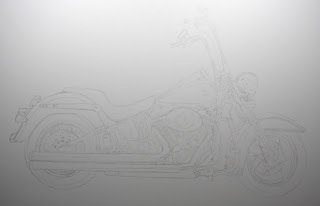 I have cropped out the white space to show more of the bike for now as the white space kills the photo details. 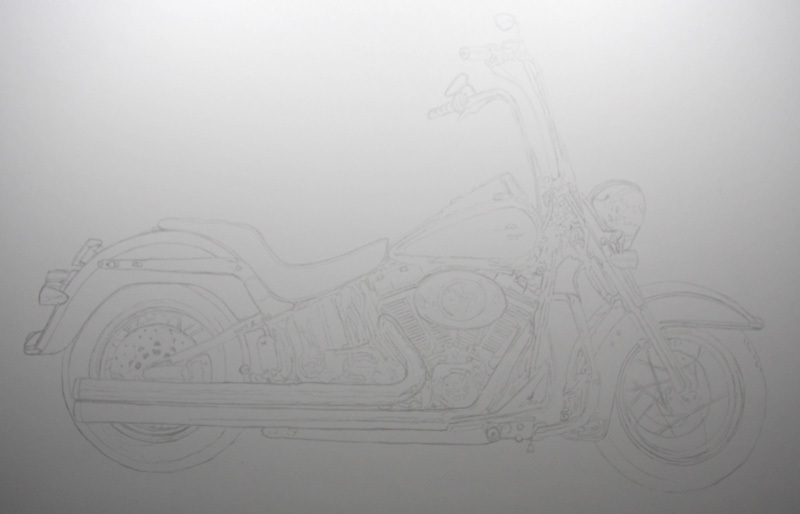 I will be adding little custom plate sketch at the bottom as per the request of my client and the initials of Ole Evinrude (OE) somewhere hidden around the motor. Apparently Ole is the man who helped the Harley & Davidson boys make the first “real” Harley motorcycle. Do you think they would still be as cool if they had called them Ole Cycles?